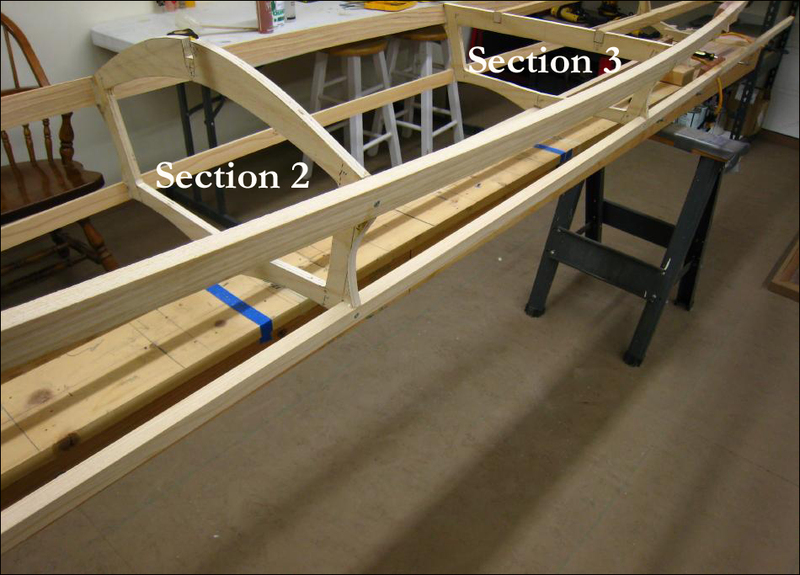 Once the gunwale is in place, and screwed / glued to sections 2 and 3, move along the gunwale applying glue to the stringer and to the cross sections 1 and 4. On other designs, there will be up to 8 cross sections to screw / glue. When all connections are wood screwed tightly in place, move to the opposite side and repeat the gunwale gluing process. Next, repeat the process along the chines attaching the stringers to sections 2 and 3 first as seen above. Remove all wood screws in 12 hrs.